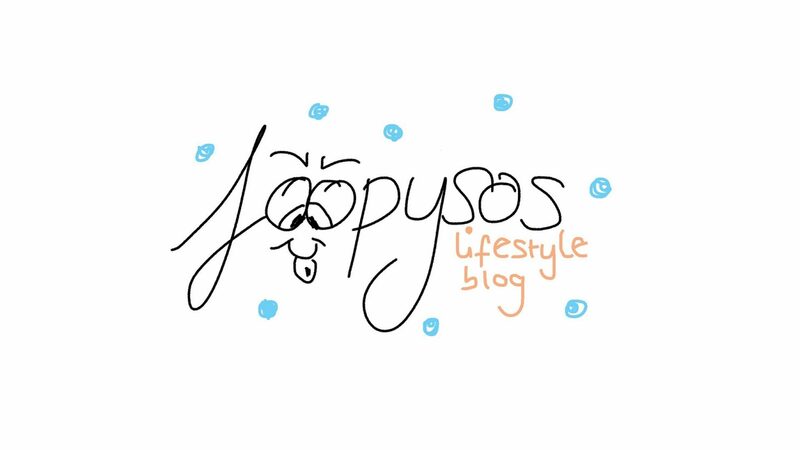 I thought why not do another weekly blog post, won’t be full of food this time, more of big purchase and what I saw this week. Lets start with a movie, we was meant to watch it on Halloween Eve or the actual day itself, but we didn’t, however we got there in the end. Excuse the not so neat handwriting, wasn’t expecting it to be online, as forgot to take the pic before cut and stuck it in my journal. 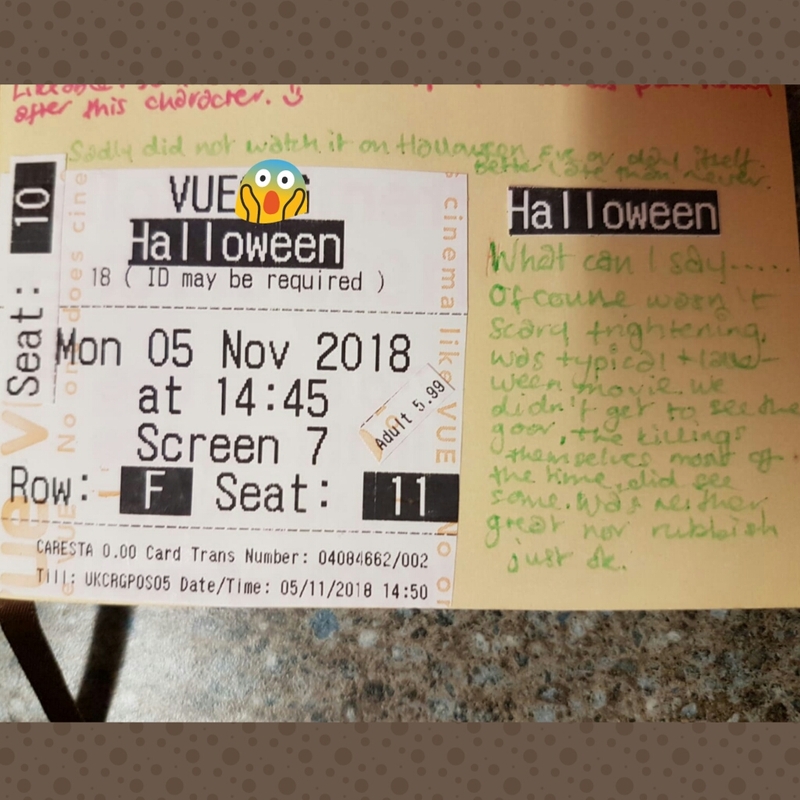 We saw the film ‘Halloween’, don’t want super fans to bite my head but didn’t find the film neither great nor crap, just ok, I felt like it had the potential to be better, and it could of been but it just went bit left. 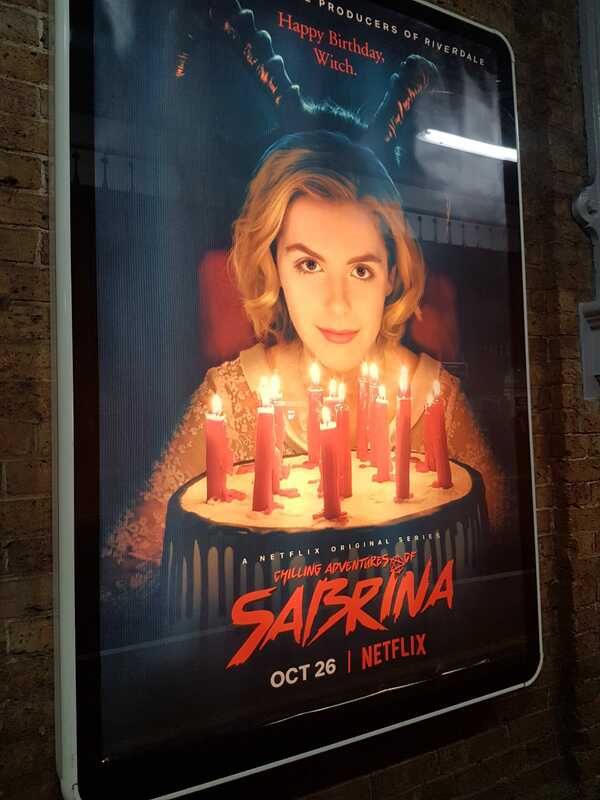 This week we completed the season of new show on Netflix called ‘Chilling Adventures Of Sabrina’ if you my age or bit younger you will remember the original show called ‘Sabrina The Teenage Witch’ it was good show, so when I heard going to be new Sabrina, I thought oh no, as it’s such classic show, didn’t want remake however didn’t know it was going to be darker Sabrina, so made me more interested in a way. We started watching it last week and finished it today. The verdict without giving nothing away is hard, I wasn’t a fan of the weird filter, blurry filter around them, I was left confused in what era they was in, as everything looks old until certain things throws you off and makes you think oh, then look online when the show meant to be set in still was baffling, as very modern phone anyway besides the confusion I liked the show, I wouldn’t recommend it to my Mum, this new one as they reference to Satan a lot, that’s a no no with Jamaican christian Mum. You are like aww Sabrina then you like wow erm…. This is spoiler alert sadly the cat doesn’t talk which is unfortunate, I’m use to it from the original show, I know don’t compare it, ok leave it there, good show. 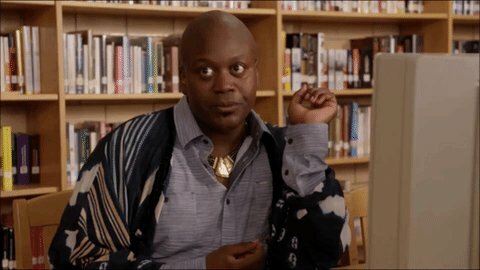 Now onto the big stuff, adulthood, if you have your own place (rent/own) and you have to furnish it yourself you know how expensive furniture is. My beloved sofa seen better days, literally was falling apart even the cushion/stuffing started to come out a bit, granted I didn’t spend upon hundreds and hundreds pounds on it, couldn’t afford that, technically was the first sofa bought myself, so it is special to me, as my Mum bought the one before that, then before that lived in furnished accommodations, so bought what was in my price range, as don’t own credit cards nor have overdrafts. Save, save, save and was finally able to go House Of Reeves as they had a sale, plus our way to support local business, looking around at different sofas, I had maximum budget and the budget I prefer to spend within, luckily there was options in my price range, phew, the staff was friendly and helpful, have bought from there before so felt comfortable. 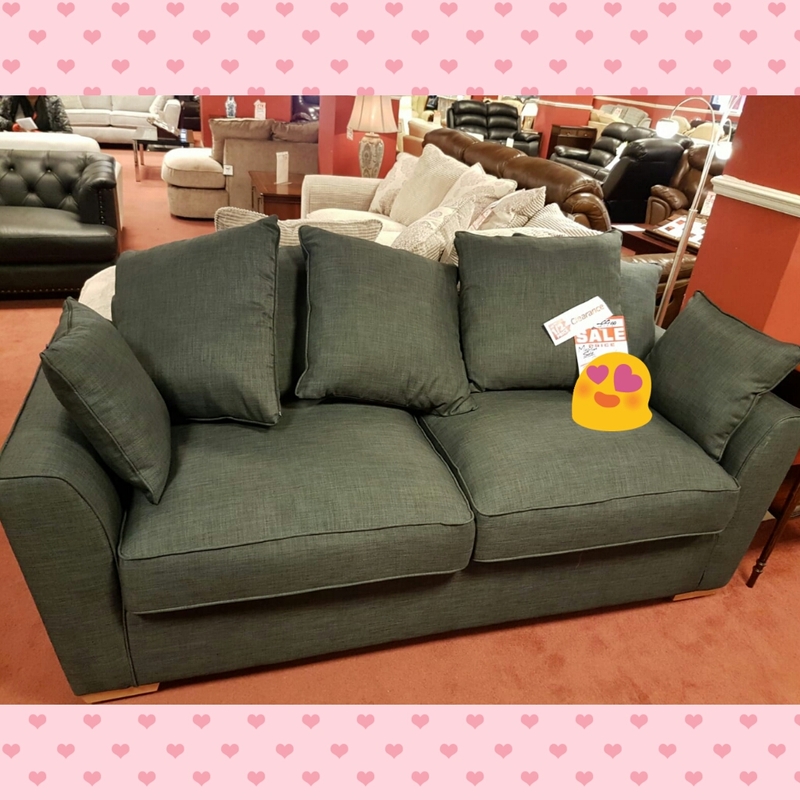 My partner said we’ve found THEE sofa (pic above in the store), come over, I looked at it, sat on it, instantly loved it but thought no cannot afford this, the sofa was HALF PRICE sale, yes it’s the display sofa we be getting (just needed bit of clean because it was out, but didn’t have marks, stains, or anything), so guess what, there and then purchased it on Monday, and the sofa arrived here on Wednesday afternoon (was confusion on delivery times, said morning but didn’t turn up until afternoon, won’t lie was bit ticked off about that, as could of gone back to bed to rest, anywho it arrived). Now proud owner of new sofa, feel all grown up haha, cleaned it once it arrived, and the dog took to the new sofa straight a way, jumped up and fell asleep on it liked nothing changed, got real comfortable that was before her dog blanket was even on it, as had to wash it before putting it on the new sofa. I am still adjusting, as it’s higher sofa, complete different sofa from my previous, different layout, different material etc, I’ve napped on it did feel odd won’t lie, I’m not good with changes so always takes me minute to adapt, it’s weird how made me feel more grown up as it’s proper sofa with loads of cushions (previous sofa didn’t have arm rests). Oh looks so much bigger in the flat (home), I didn’t even think it would fit at one point but I was being dramatic as always. So there you have it, my week, I would include TV shows like the last ‘Big Brother’ (UK) on channel 5 yes I watch Big Brother, ‘Grand Design House Of The Year’ I like the ones got shortlisted, anyway enough from me…..
What was your highlight from this week?